Everywhere you read, it's bloggers asking to be accepted onto campaigns, begging for free items or getting a pretty bum deal. It ends now! Find out why brands need bloggers, what the difference between sponsored posts and gifting is and what brand's want. As a blogger you add knowledge, perspective and advice to social media and the internet. Your review can shape a company, or a brand's image as you can reach thousands of people. Without Blogger's companies would struggle to reach as many people as they do, of course there's always going to be word of mouth but social media is now the way to get your business noticed. In business terms Bloggers are tier 1 influencers. Not only do we review brands but we are customers or repeat customers and with our large social media followings have the ability to shape the future of a business. These are the people who have a knack for making friends and acquaintances, they usually have a big social media following and are usually the ones running chats, forums or groups. Information specialists. These are the bloggers who seem to have a great grasp of knowledge and love to help people out. They enjoy problem solving and often know the answer or know someone who will. Not in the traditional sense as a pushy salesperson but in the sense that they are charismatic, friendly and are more likely to sell a product they recommend. They are normally the ones who have fierce negotiation skills and usually get better deals with brand's as they fight for what they want. Brands love offering Blogger's deals and love getting Bloggers excited about a product. Bloggers can create a massive hype, reaching hundreds of thousands, even millions of people and it costs the company a hell of a lot less than a big advertising campaign. Just think about it. You get an item gifted for a review to the RRP of £30. In reality it's cost the company £15 in product and say £5 in postage. You then post a great review on your blog that 1000 people read and you advertise it on social media that reaches another 1000. That's two thousand people who now know about that product, from a source that many consider as trusted. Clever eh? It's not just about gifted items, sponsored posts also help brand's reach new potential customers. Again this is very low cost for the brand and means that they can have you post exactly what they want you to say. It's a good way of making an income but it needs to be corresponding to your blog and you have to make sure your readers know that it's sponsored. There is a difference between the review for a gifted item and a sponsored post. Make sure you know the difference before agreeing to do anything with a brand. Being gifted an item is a brand giving you a product for a review. You usually have one to two weeks to post the review but this can depend from agreement to agreement. You can write a 100% honest review, in your own words and the brand cannot tell you to change, alter or lie. A sponsored post is when you are told what to write. The brand will dictate exactly what goes into it. They will normally ask to approve the post before it goes live and they can tell you to change things. You are normally paid for sponsored posts. Again, this is super cheap advertising for companies. You think of how much an advertising campaign would cost vs sending out products or paying a small fee for a post to be written. Brand's don't want 'one post stands' with bloggers, it's just not good business. They want to be able to push a product and then have a long lasting relationship with the bloggers via affiliate programmes or future work. This enables them to keep their reputation in the eye of the public and the blogs readers even after their product campaign is over. Getting a social media following takes time and yes, you can buy followers but brands don't always go for numbers. Just because someone has 10,000 followers doesn't mean they have readers. How many people do you follow just because you can't be bothered to unfollow? 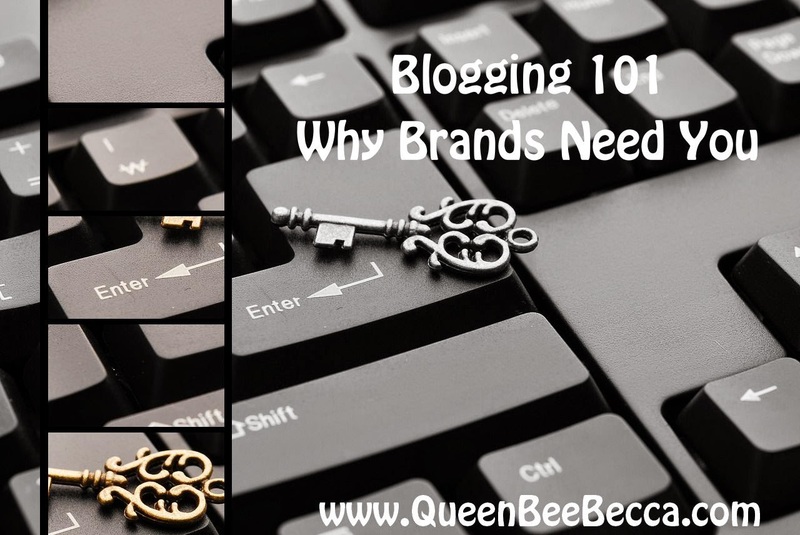 Brand's need bloggers who make an impact, regardless if they have 10,000 followers or 10. What's the point in spending any money on advertising that is simply ignored? All in all, brands and companies need bloggers. We help them push their businesses forward, we offer feedback and suggestions on how to improve, good and bad. So don't sell yourself short, don't agree to anything your not happy with and don't work for free! I think having an engaged following means more than numbers. Bloggers are the social media advertisers. Same with those on You Tube. Great post for those who are starting out, it can me a real mine field out there for blogger's who can get taken advantage of! !